As posted before, I don't really shoot birds in flight with the Canon EOS 6D, but have done so on a few occasions (evaluating reach, image quality and AF speed with the Canon EF 70-300mm f/4-5.6L IS USM lens). During the last few outings to Woodbridge Island, Cape Town I've used the Canon EOS 6D again, but this time paired with my Canon EF 400mm f/5.6L USM lens. I am quite happy with the Canon EOS 6D / 70-300mm lens action photography pairing performance and really wanted to see how the 400mm lens would perform on the full frame EOS 6D and to what extend the basic AF system and slow 4.5 fps would be a handicap (when compared to the Canon EOS 7D Mark II's advanced 65-Point AF system and 10 fps). 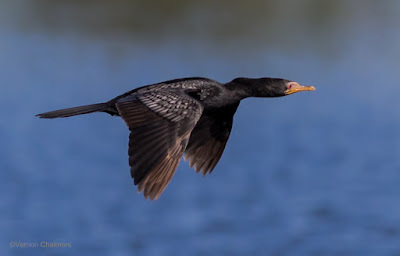 Note: The Canon EOS 6D Mark II is not renown for its AF abilities and for most photographers are not a serious consideration for action / birds in flight photography - I share this sentiment, but the EOS 6D's AF is better than what is being floating around the online forums. 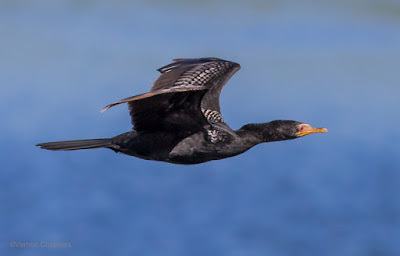 A while back I wrote about the performance of the Canon EOS 6D vs the Canon EOS 7D Mark II for my own birds in flight photography. One of the main reasons for taking the Canon EOS 6D for birds in flight photography is that I'm considering the option of replacing both my EOS 6D and tEOS 7D Mark II with a Canon EOS 5D Mark IV (and to add the future Canon EOS 7D Mark III when introduced in the next year or so - see Canon EOS 7D Mark III Wish List for Birds in Flight Photography). This is my current thinking and research, but the final decision may be different. I quite like the Canon EOS 6D's image quality, low light performance and the fact that images can be cropped much more than with i.e. 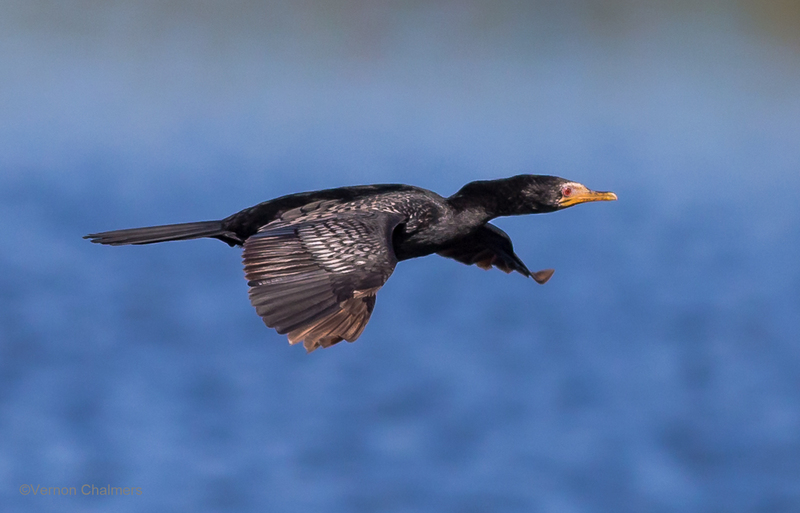 the Canon EOS 7D Mark II - for images with my current 400mm birds in flight lens. I know with the Canon EOS 5D Mark IV I should have an even bigger advantage (at 7 fps, advanced 61-Point AF system and 30 MP sensor). I personally don't see the 10 fps of the Canon EOS 7D Mark II as such a major advantage over slower fps shooting rates - the full frame sensor's cropping and low light capability is currently more important than fps. 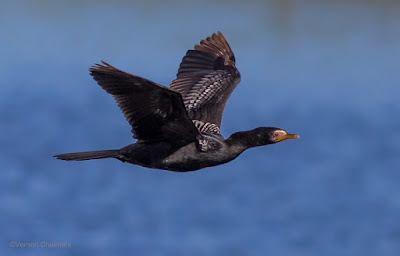 These 4 consecutive images of the double-breasted cormorant are substantial crops.